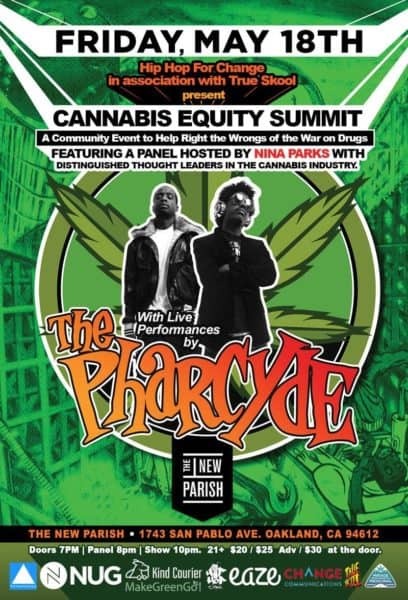 The Cannabis Equity Summit, hosted by our good friends Hip Hop For Change and True Skool, is an ‘edutainment’ event that features a special performance by hip hop legends The Pharcyde. 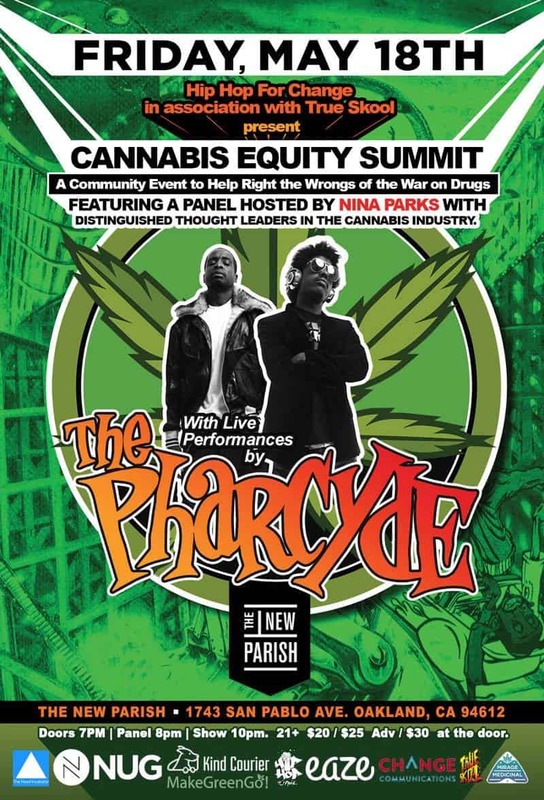 Besides losing our minds over The Pharcyde, the Cannabis Equity Summit raises critical issues about who is benefitting from the legalization of marijuana, and the fact that the communities who were most adversely affected by the war on drugs are still awaiting reparations. Let’s not forget that there are still thousands of people in jail over minor marijuana convictions – and let’s also not forget that most of these people are people of color. 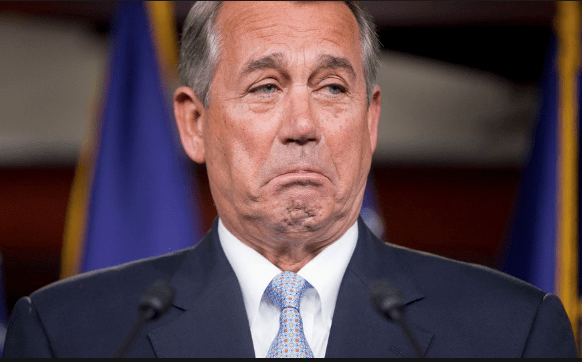 While opportunistic vultures like John Boehner attempt to cash in on the pot craze, people still sit in jail, or have had their lives irreparably damaged from marijuana convictions. The Cannabis Equity Summit seeks to address these critical concerns with a distinguished panel of community activists and leaders in the marijuana industry. After we get these heady discussions out of the way, it’ll be time to lose our minds over the brilliance of The Pharcyde, as well as performances from local artists Ryan Nicole, Shy’An G and Hip Hop For Change founder Khafre Jay.